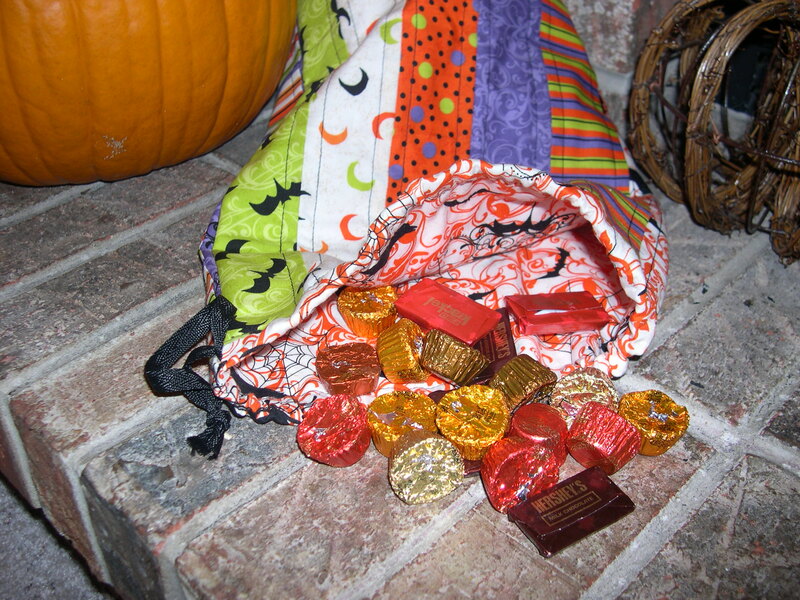 Check out these three stuff sacks I made for trick-or-treating on Halloween! 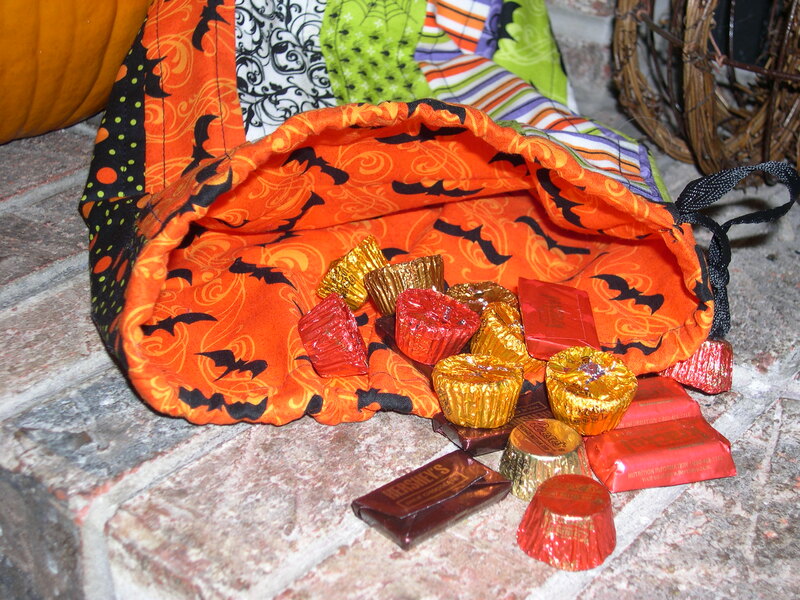 As with all of my stuff sacks, these are designed to carry your stuff, from your lunch or a pair of shoes, even candy. 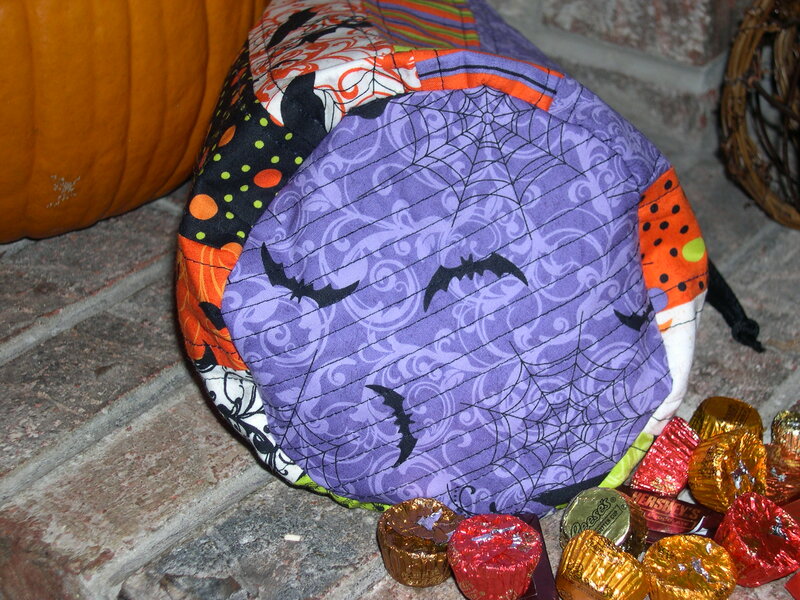 I used fabrics from the Spooktacular collection, which feature bright orange, purple and green bats, spiders and ravens. Very cool! The first stuff sack measures about 13 inches tall with a 7 inch flat bottom, and this cool purple lining. Check out this funky purple fabric on the bottom! The second one has the bright orange lining. It measures about 14 inches tall with a 7 inch flat bottom. And the third one has the orange and white lining with ravens, bats and spiders, oh my. I think all the bottoms look cool! I listed them in the shop tonight, so stop by to check them out. I only made three, and there’s still time to get one shipped to you before Halloween arrives. Oh Terri these bag are sooo cute! Its such an awesome way to celebrate Halloween! I will need to email you soon hehe Have a lovely merry happy day and love to you! Aww…these are so cute! You have been keeping yourself busy lately!! Oh, I so want one! 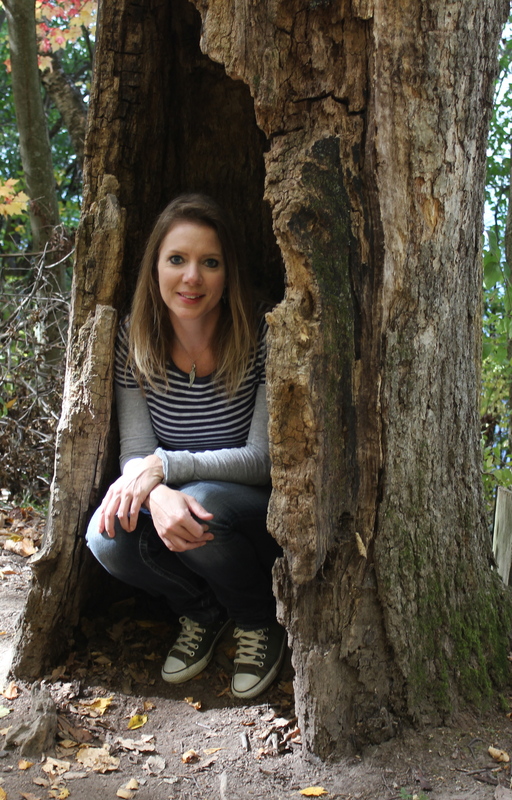 I love that Spooktacular line…these are just perfect Terri! 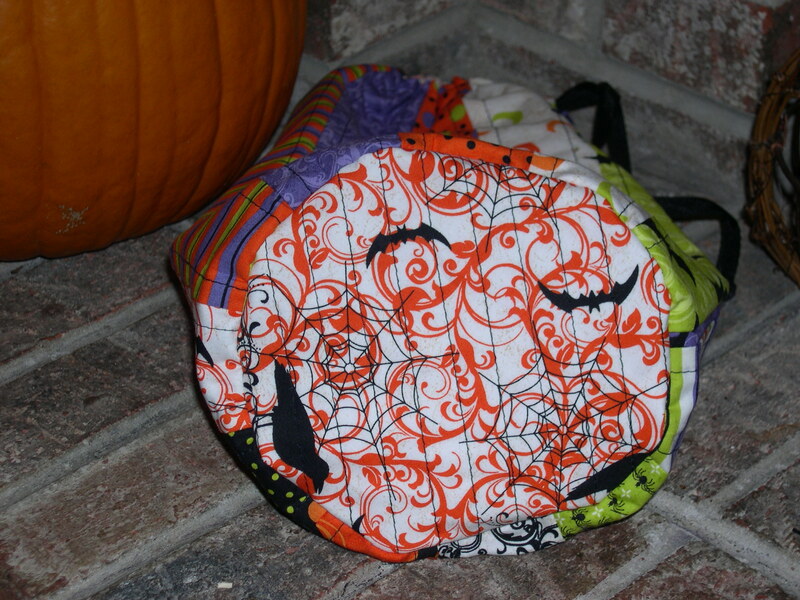 Love those Halloween bags…so cute! 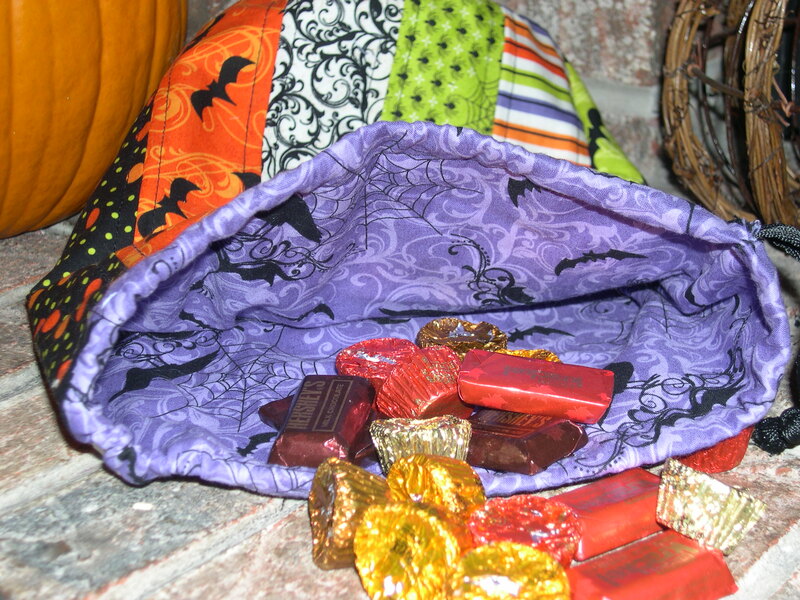 Why are bats so darn cute at Halloween and so not the rest of the year?Those are darling fabric choices – again! 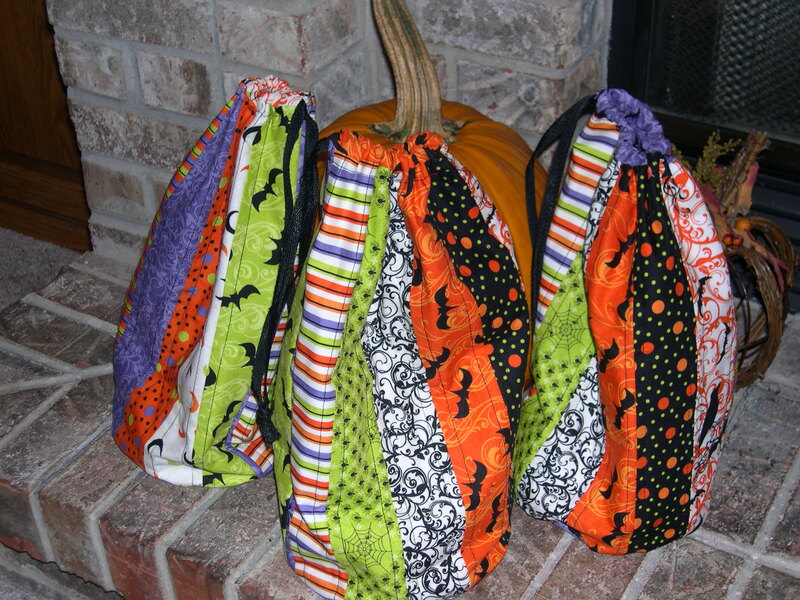 I think those stuff sacks would also be great or storing small costumes or Halloween decorating items. These turned out so cute! If I had kids I would totally get one of these! adorable. Wow you have been busy. I love this fabric. I wish I had gotten some while before I started all my Halloween projects this year. Terri, how cute! I love them!